ESET®, a global pioneer in proactive protection for more than two decades, was named Top Player in the latest Radicati Group’s “Endpoint Security – Market Quadrant 2015.” This positive showing confirms ESET’s ability to deliver high performing, easy-to-use security solutions with a low system footprint. The Radicati Group’s Market Quadrant provides a competitive overview of key players in the business endpoint security market. 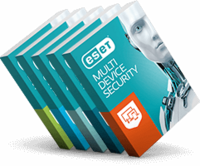 Top Players, such as ESET, are recognized as being the current market leaders, with products that have built up large customer bases. To achieve the Top Player distinction, companies must offer advanced functionality. The report also mentions ESET’s Live Grid® Early Warning System, which leverages real-time data from customers to add new threats to ESET’s virus signature databases. The report has also underscored the company’s recently redesigned ESET Remote Administrator tool. To learn more about ESET’s next-generation business security solutions, including ESET Endpoint Security and ESET Remote Administrator, visit http://www.eset.com/int/business/.